A soldier’s job is difficult enough without having the added burden of ill-fitting armor. Yet women in the military had to wear body armor that was initially designed for men, which is then altered only slightly to fit the approximate size of the woman. There are many difficulties that arise out of this practice, and finally innovators have taken note. A push to create a more gender-specific gear that would be better suited for a woman’s body type has emerged within recent years, and shows hope for the future. Bullet proof vest that does not fit well can create an extra hazard in combat. Instead of actually protecting a soldier, vital areas may be exposed. To encourage more widespread manufacturing of body armor for women, manufacturers should consider conducting several kinds of studies, including how the size and shape of the body armor affects how much area of the body is exposed. Once suits are better designed with women in mind, this should decrease the vulnerability of their vital organs. Manufacturers should also take into consideration how armor either restricts or aids the movements of the wearer. One of the foremost difficulties in body armor for female soldiers is their decreased ability to move easily due to body armor that is either too restrictive or too loose. Women in the army have raised this issue with body armor the most, arguing that they have less control over their movements and are therefore more vulnerable. If bulletproof vest can be designed for women’s bodies, then casualties due to ill-fitting armor should be reduced. Given the history of military combats, all the military gear, especially the bulletproof vests are made while keeping the male physique in mind. But today, the situation is different and females make approximately 20% part of the military troops. So, when the bullet proof vest is not designed and chosen properly, it could bring the female troops great levels of discomfort and uneasiness. It might even get difficult to function with such ill-fitting armors. With the number of women entering combat on the rise, more voices are being raised for improvements in body armors. A greater consideration should be given to how to protect women soldiers, and creating body armor specifically for female warriors will help give them an equal footing on the battlefield. So, here are some general guidelines that must be followed while buying a female body armor so as to facilitate perfect comfort, style, and ease. Whether you are buying armor for a male or a female, it is the first thing to consider. Body armors that are not comfortable only bring uneasiness. While, if they don’t provide the required protection, they are just useless and cannot safeguard your life at the times of need. Therefore, go with an armor that provides both- comfort and protection. Such an armor would protect you from all levels of threats without hampering your movement. Being light in weight is an additional advantage to look for. 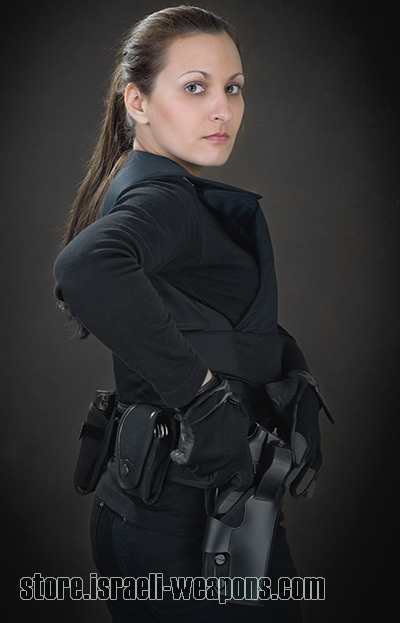 Female bullet proof vests are slightly different than the male body armors in the fact they should be more comfortable around the hip and the chest area. They should be flexible and have a permanently contoured shape for the bust area. The materials that are being used in the manufacturing of body armors have been constantly improving since the armors first came into use. The more strong ballistic fibers are now used widely. They enable the manufacturers to produce flexible and light armors, which can easily be given that contour shape which is suitable for female warriors. The material used should directly impact your final decision of purchasing the armor. Measure yourself as per the manufacturer’s instructions or rather ensure a proper fit by visiting the dealer. Ensure that you are wearing the right size that fits properly and provides maximum comfort.